‘The oddest person… and at the same time the most rare and consistently witty’ is how Russian composer Igor Stravinsky is supposed to have ‘praised’ his French contemporary Erik Satie (1866-1925)*. Music is not just tolerant of eccentricity. It seems to embrace it in ways that other domains iron out. 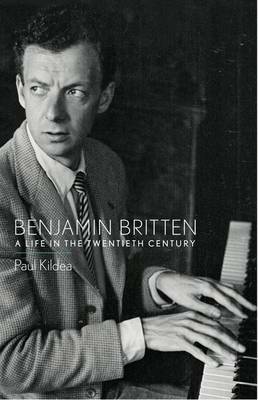 Paul Kildea’s new biography on Benjamin Britten describes the great British 20th century composer as: “Loving, spontaneous, loyal, corrupt, humorous, humourless, soulless, courageous, weak, abnormal, flawed, beautiful, ugly, petulant, secretive, wonderful, crippled, sadistic, charming, great, hateful.” Full of human contradiction, and, according to Kildea, at odds with the world around him. In Britten’s centenary year his music endures and grows in appreciation. 20th century music at least, and its people, seem to avoid flattening or balancing plurality at all costs. Sometimes revolutionary, sometimes not but not the same. The music here, to be worthwhile, has to carry some new meaning in its outworking. There is something about the music fraternity’s ability to reframe and reinvent, if not shift their foundations. As if the core set of beliefs or axioms underpinning music itself has to shift. There is no room then for what some call Foundationalism; a worldview with a basic core that remains fixed come what may. No cries of No Surrender here. Was Douglas’ ‘well-known name’ a Foundationalist being true to deeply held core values? The difficulty in beginning to touch on ‘core beliefs’ is the room seems to empty as soon as polemics or ‘unsympathy’ appears. In the April BBC Music mag Bayan Northcott’s review of Paul Kildea’s Britten bio is not overly complimentary but ends: “I wonder… whether there can ever be a definitive biography”. He politely admonishes Kildea for “ambiguous syntax and mixed metaphors” giving it 3-stars compared to 4-stars for Neil Powell’s similarly-timed Britten bio which offers “sympathetic” treatment to a “good man”. Avoiding difficult arguments is like being definitive and Foundational, implausible in lived life, even if necessary at times. Changing tack slightly but staying in April’s mag conductor Sir John Eliot Gardiner chimes in with his concerns about whether by playing Bach on period instruments this helps capture the composer’s Foundational meaning or worldview. He says the choir in general terms has ‘been going downhill since the 17th century’ because singers have been “picked because of their academic credentials rather than what they can do vocally”. Likewise being interested in Bach isn’t about “dealing with a dusty periwigged bust from the distant past”. The idea of locating the Foundation of what authors or composers Mean is then fraught and can’t be found by employing modern academic credentials. What ‘good music’ then achieves is suitable discordance and constant difference each time it’s performed. This is an Anti-Foundationalism opposed to unmoving Core Beliefs. Eliot uses terms such as ‘jumping tracks’, ‘mutant forms’ and he is willing to acknowledge when there is a new ‘heliocentricity’ abroad resulting from the arrival of a Copernicus or Galileo. There are new Copernican turns now and there are Galileo’s being locked up. The noise of our discomfort in the background might be us and our community ‘crossing the points’ into a revolutionary understanding which really threatens the definitive. I’d suggest also it is a disillusionment with Foundationalism itself. That much of modern management and leadership is seeking euphonious Niceness ahead of two-way discourses that create ‘collective discourses’. Blond-hair is beating scrawny Pauline oddities such as John Adams, the geeky composer of Nixon in China, or Erik Satie, him of Gnossiennes, the oddest man according to Igor Stravinsky (no Blondy himself!). ‘Perfectly honed’ unities are then a disaster. The protection it seems against polished unities is Sir Eliot’s mutations in response to Revolutions and this sustains flexibility and imagination and avoids “ghettos between repertoires and specialisms”. It seems vitality requires certain imbalances that are awkward. Sir Eliot says this striving for two-wayness offers “great tidal wave[s] of energy”. The music community seem hungry in large parts to mutate beyond Foundationalist views and ready to come-to-terms with any outfall but only in the context of a relationship between members of the community. This two-wayness is dangerous, of course, as it is diametrically at odds with instrumentalism. Invoking the modern mantras of ‘being inspirational’; ‘focused’; ‘excellent’; ‘outstanding’ and so on, carry the same texture as Sir Eliot’s euphonious niceness; that once the dust has settled they leave the concert-goers going home early. The answer again appears to be not departing for a cave as a sandaled aesthete, in a slight huff, mumbling on the way about being above the puerile, but rather both parties aiming for a collective discourse: ‘I will try and sound a bit like you and if you could sound a bit like me’; the strings mapping into woodwind and the chorus dropping their lifelong adherence to the Royal Society. Somebody recently pointed out that Institutions are designed to capture and imprison a ‘moment of revolutionary change’ and then resist all future revolutions. If Institutions can revisit their Foundations as part of their core-beliefs it seems wise. If the US Constitution added an Amendment saying ‘Revisit these Amendments regularly’ and the church said we’re Reforming-as-a-way-of-life not Reformed how much pain might have been saved? Plus when the Galileos and Copernicus’s of today’s world turn up, can we invite them in now and not later? Also, maybe something here similar to Gulliver’s ability to speak the language of each ‘Land’ he visits?